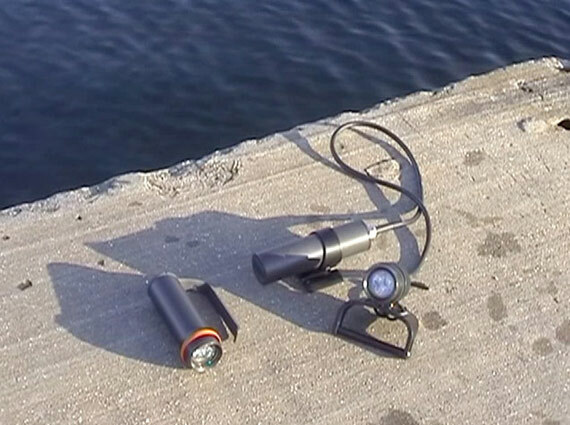 Czech-built Finn Sub’s range of premium quality torches is well suited to deep water. 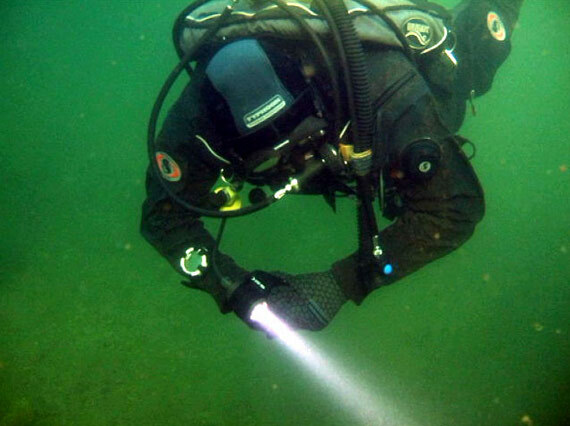 The company was founded in 1998 and quickly gained a reputation for building sturdy and reliable dive kit. However, it was only back in 2006 that attention turned to illumination and the release of the Finn Light diving torch line-up. There are currently three distinct ranges; Finn Light Short, Finn Light Long and Finn Light Strong. The Finn Short consists of compact, short torches of an all-in-one design, whilst the Long range are canister style torches to mount on the wrist. Finally, the Strong dive torch has more powerful LED lights providing up to 3000 lumens of light for the most demanding dive applications. For the purposes of a test, we splashed in with the Finn Light 1400 Short and 1400 Long, both featuring Finn’s new ‘Smart’ technology… more of that later. Remember when bicycle lights and everyday torches used filament bulbs? Well, in a very real sense that feels like the dark ages now. Like almost all modern light sources the Finn Light uses LEDs, with a light cluster of just THREE diodes in fact. Move the head and the cluster sparkles like diamond jewellery. In both Long and Short guises the body is milled from a water resistant aluminium alloy, with a borosilicate glass used to protect the head. The Long has a battery pack on a shortish cable with a threadable buckle, perfect for attaching to a tank band for stowage behind you. If you go for the Short, it’s handheld via a Goodman handle, with a clip for attachment. Now, those smart electronics. Switch the torch on by twisting the head and… nothing happens. Wait a second… it’s flashing. This is a test of the internal accumulator. 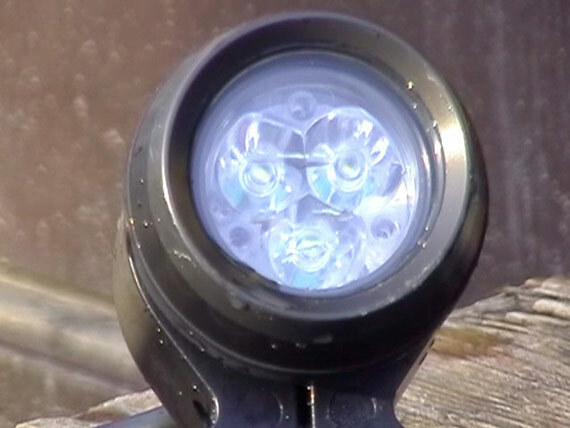 The torch comes on into ‘safety mode’ emitting 100 lumens of brightness, designed for use on the surface for 48 hours maximum. Turn the head two clicks again (to avoid accidental knocks) and the Finn Light 1400 now projects 700 lumens for up to 9 hours. Turn the dial twice again and we’re onto full brightness of 1400 lumens, enough to convince the local pond life that judgement day has arrived. In full power mode it’ll run for 5 hours from full. Running the torch in either of the two main operating modes out of the water for long will cause it to overheat. 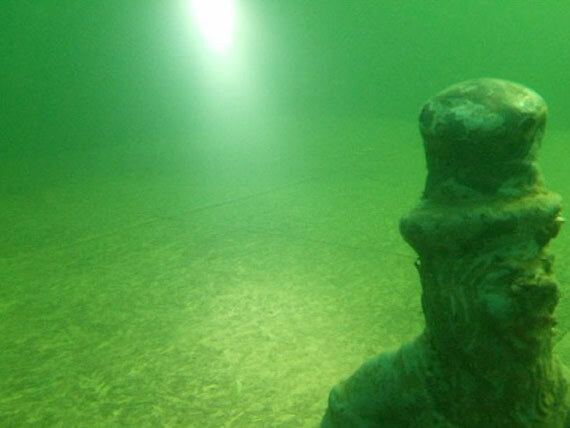 But it’s in the water we’re interested in, so time to splash in and light up the lake. Both Finn 1400s have a 10-degree beam of focus, whereas torches typically are closer to 6-degrees of arc. The Finn throws out a very pure, white sort of light that could pierce through concrete… well, certainly through very murky or gloomy water. Inside, the accumulator is working to deliver constant output without that annoying flickering you sometimes get, and it works beautifully. 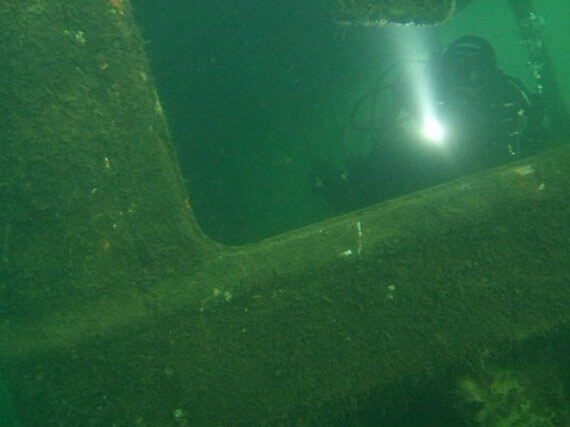 With the electronics safely tucked inside a double O-ring and the body milled from a single piece of metal, water will have a hard time causing a ground here. 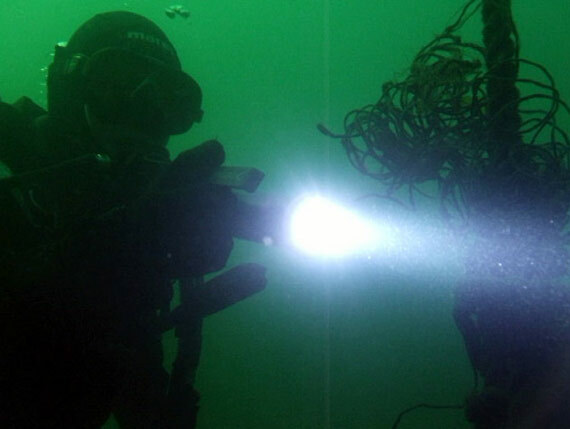 Finn Sub rates its torches down to 200-metres (20 atmospheres), making these suitable for cutting edge technical divers. Back on dry land, the head is unscrewed from the unit for separate storage, recommended by the manufacturer to prevent battery leakage. Both umbilical and handheld versions also come with a charger, which is plugged in via a small port located beneath the (now detached) head. Finn Sub guarantees the Finn Light 1400 for 10,000 hours of use, a bold claim when you consider the operating environment these will be subjected to. 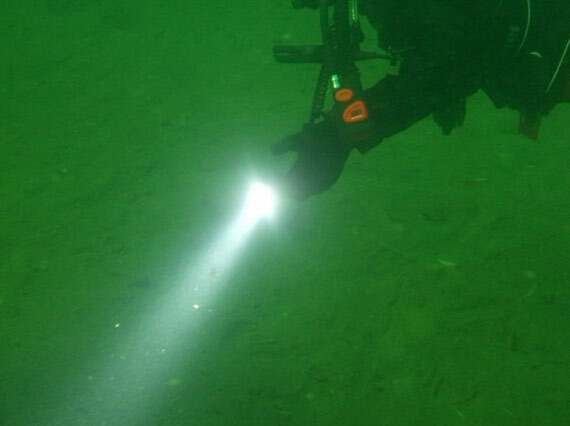 They aren’t cheap: but in an era of mass produced, plastic dive kit which can let you down at inopportune moments, the Finn Sub torch undeniably comes with reassurance as standard.